Alayne Sprague and Ute Haberecht ? Heritage Society Members at The Sprague Award event. The Heritage Society was established in 1995 by Southwestern Medical Foundation to recognize those who make planned gifts to benefit UT Southwestern Medical Center. Since then, more than $200 million in planned gifts have been received with one-third coming from Heritage Society members. 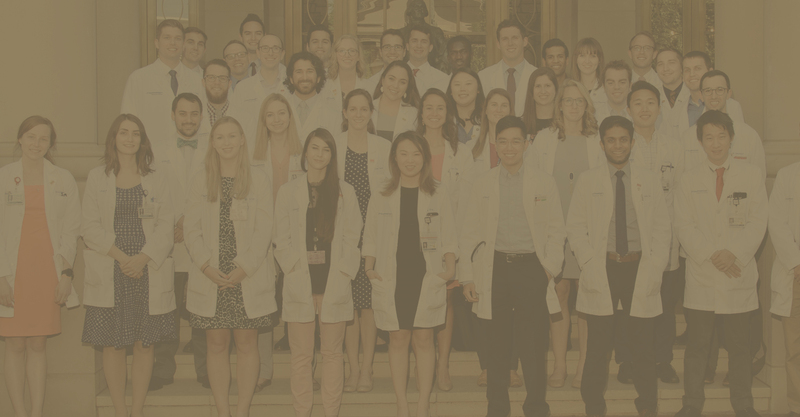 Thanks to the generosity of visionary friends, UT Southwestern proudly celebrates a distinguished record of breakthrough scientific discoveries, outstanding medical education and training, and excellence in patient care. 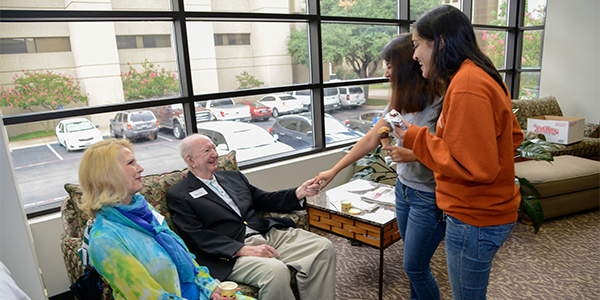 Heritage Society member, Bob Click meets UT Southwestern medical students at a recent ice cream social. You can qualify for membership of The Heritage Society by making a bequest to Southwestern Medical Foundation or UT Southwestern in your will or revocable trust or by making some other type of planned gift such as a charitable remainder trust or a charitable gift annuity. To learn more about how to join The Heritage Society, please contact our Director of Planned Giving at (214) 648-3069 or Randal.daugherty@utsouthwestern.edu.